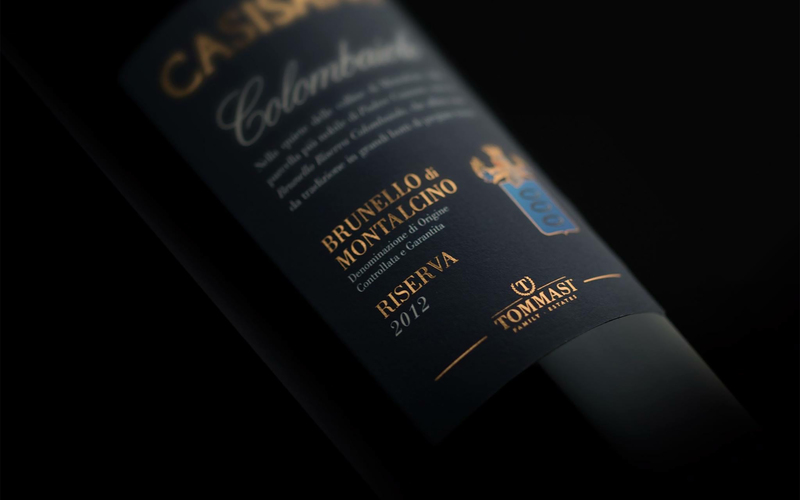 The new label of the Brunello Riserva by Podere Casisano, the Montalcino estate owned by the Tommasi Family, was presented during the last Vinitaly. The project responds to the need to give value to the reserve without compromising its continuity with the existing range. While taking on a common brand language, the new label emphasizes the elegance of the wine through the use of a deep blue color, which stands as the backdrop for the logo and the estate coat of arms, while a formal lettering suggests utmost fineness of the wine.